Oh, man, matte top coat really brings out those iridescent colors even more. 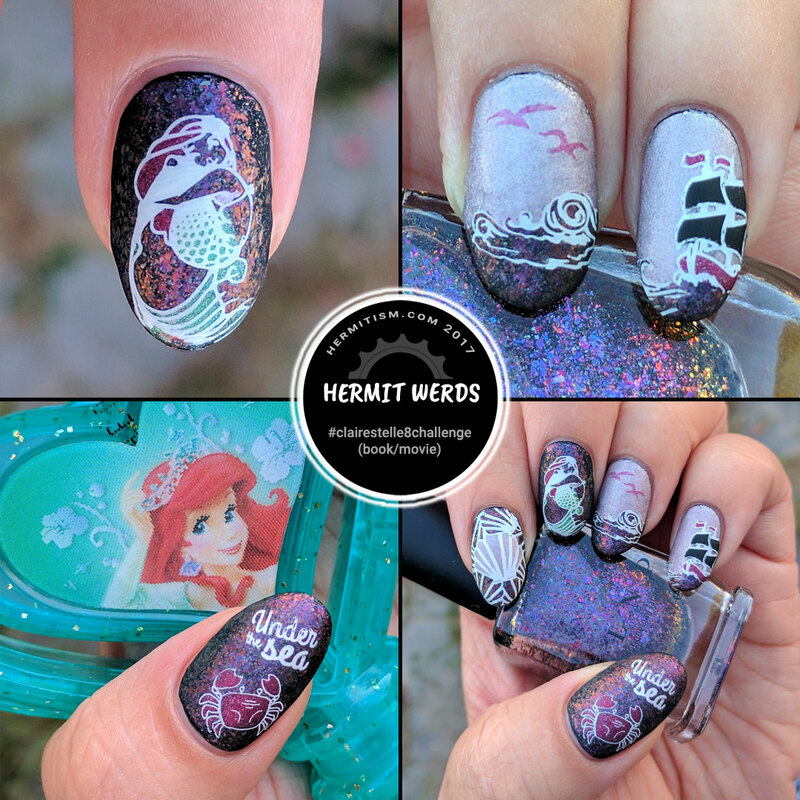 I <3 ILNP. 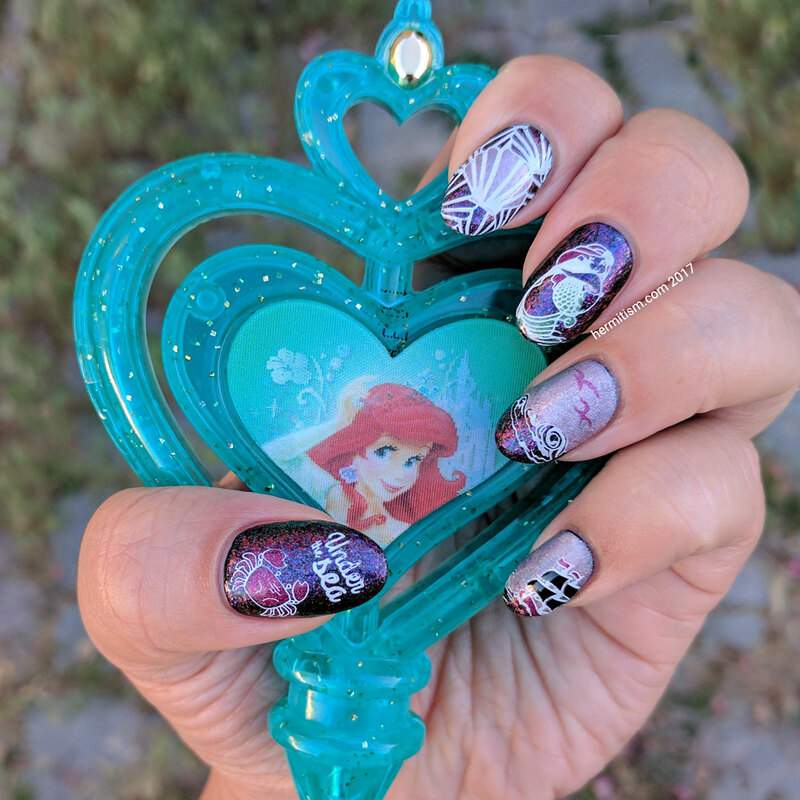 I possibly over-did it in photos of my nails with my stepdaughter’s Little Mermaid wand. *cough* I do like the addition of the ship and the matte look, but the old version isn’t a crime against humanity. At least currently it’s not. I cannot speak for future law-making decisions. 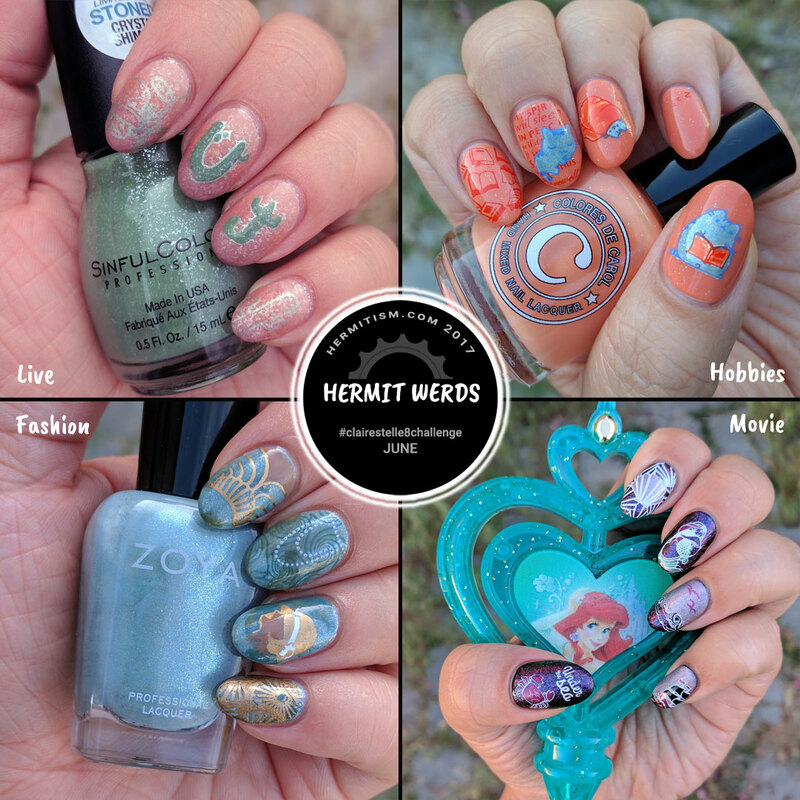 Since this is my last post associated with the #clairestellechallenge for June, here is my collage of all the nail art I did this month (Live = Utah, Hobbies = Reading, Sleeping, Cats, Fashion = Art Deco, Book/Movie = The Little Mermaid). 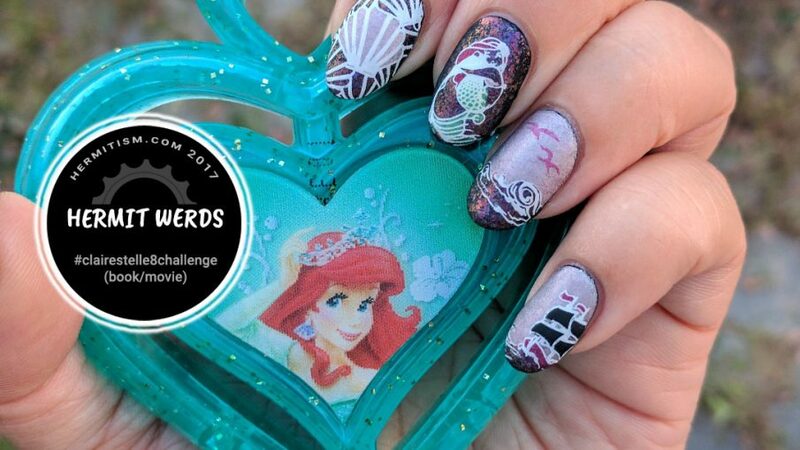 I have seen so much beautiful nail art in this group. Do go on Instagram and check out the #clairestellechallenge tag.